You’ll find out a lot about us by our work, our events and the insights we share. But enough about us, tell us about your challenge. Forever Green Lawns are established national suppliers of Artificial Grass and innovative maintenance products. They came to Reflect Digital in 2014 for Search Engine Optimisation and less than a year later the campaign was nominated for a UK Search Award for outstanding SEO results. Fast forward to 2017 and Forever Green Lawns approached us to modernise and optimise their website ahead of their busiest trading period. The brief was to design and build a new site to increase the conversion rate and improve usability before the demand for artificial grass starts to ramps up. Having worked with Forever Green Lawns for several years, we used Google Analytics data to establish that the demand for artificial turf products generally starts to increase at the start of March. With this in mind, we began this project in January with a go live target of the end of February. 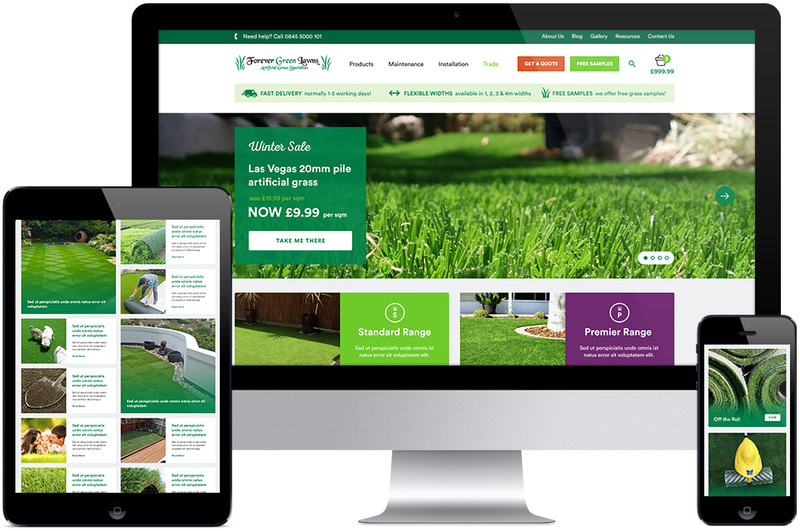 The new website came as a result of a new strategy from Forever Green Lawns, to focus more on online product sales as opposed to on site installations. The new website needed to reflect this change in direction. Whilst we needed to maintain the high volumes of organic traffic built over the years, the new website needed to increase trust amongst users to increase the conversion rate of this traffic and ultimately, increase revenue. It was clear that, as well as the needs of the consumer, the needs of the business had changed and the new site needed to reflect this and help facilitate that change. Content management system - We decided to keep Wordpress/Woocommerce as the platform as the client had vast experience in navigating Wordpress after several years of use. New product photos - We knew from experience that artificial grass is a very visual product for which users will make purchase decisions based on the look of the product. With this in mind, we took professional photos of each product to be used on the new website. Added more detail to product page - Aside from the visual aspects of the product, we discovered that there are some buyers who wanted a bit more information including the weight and pile height as well as wanting to know the suitability for children and pets, flammability and warranty information. We made sure these were prominent on the new website to address all customer concerns. Added more prominent calls to action - Each element of the site was designed to influence action on the website. From the large free samples / get a quote button in the navigation, to the easy-to-use product calculator, the site was designed to reduce friction between finding the information you need and performing an action. Maintained the structure to preserve SEO value - We had been working on improving the search engine visibility of the site for many years so it was important for us to maintain the SEO value of the site by closely following our website migration SEO process. Whilst the design was amended, the content and URL structure for key pages was largely the same and if the URLs were different, we made sure to add a redirect from the old page to the new page, where appropriate. Improved trade page - Forever Green Lawns were looking to shift their business focus to generate a higher number of trade enquiries. We therefore enhanced the trade pages to increase their impact. 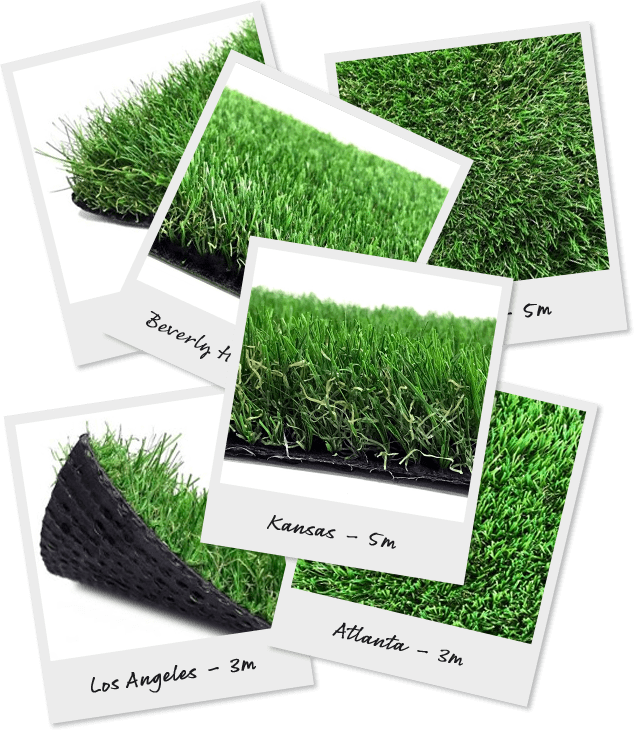 Made FAQ’s more prominent - We found that users don’t just search for the term ‘artificial grass,’ they research around it in the same way as any other product before purchasing. We made this a more prominent feature of the site, particular on product pages, to show Forever Green Lawns’ expertise as well as rank for longer tail question keywords. Other features - We enhanced the checkout process to make the checkout clearer and easier to use both on mobile and desktop to improve the conversion rate. Reflect Digital launched the new Forever Green Lawns website on time and were able to deliver on the requirement to maintain SEO traffic and rankings. The conversion rate improvement has led to over a four fold year on year increase in revenue generated through online orders. The site bounce rate also decreased following the website redesign, with engagement metrics such as average session duration, pages per session and page views all improving compared to the same time period the previous year. As a result of the successful SEO campaign work and thorough technical SEO migration work, organic traffic continues to increase with May 2018 delivering a new record month with over 20% year on year increase in new users. Work with us and see how we can improve your digital reflection! Reflect Digital is a web design and digital marketing company based in Maidstone, Kent. Our online marketing services include, strategic planning, design services, search engine optimisation (SEO), social media management as well as pay per click (PPC) advertising and many more. Never miss out on anything we do, sign up today to receive regular company updates on all things Reflect!